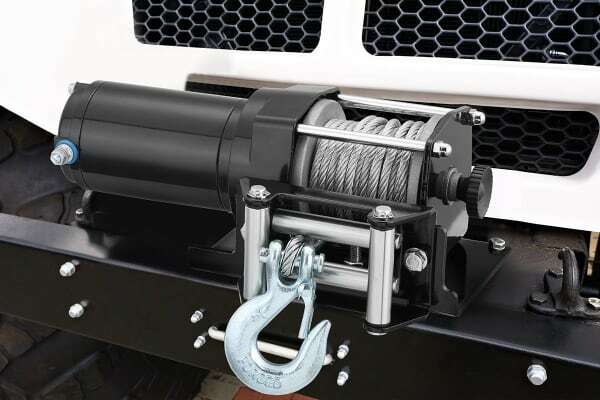 Whether you’re off-roading, fishing or just bogged down in the mud, this impressive 3000lb winch will help get you out of a tough jam quickly. Save battery power and hook up to your engine! 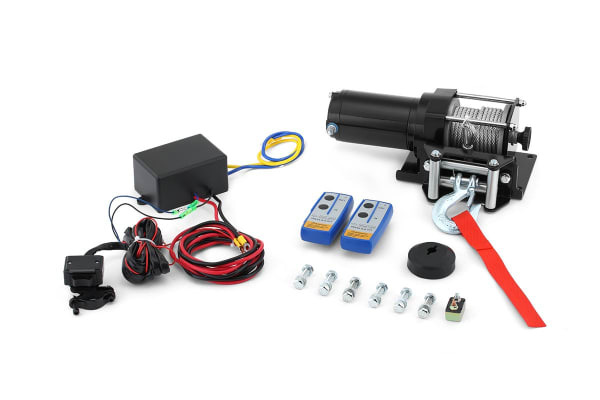 Precision engineered with a 153:1 gear ratio for huge torque and differential planetary gearing for smoother pulling action, the Certa 3000lb (1361kg) Electric Winch is the ultimate recovery gear for when 4WD power just isn’t enough. When navigating rocky passes, hills or muddy trails littered with fallen trees, this impressive 12V battery, recreational winch can help remove debris from your trail and over rough terrain easily with a high-density steel cable. Attach it to a bearing point on your car and use the battery power or hook up to your engine to get yourself out of a sticky situation. 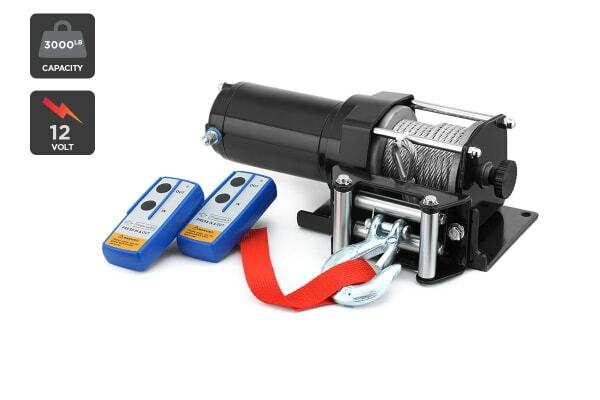 With the dynamic braking action, you don’t worry about the drum potentially ‘free spooling’ and losing tension, as this sturdy winch automatically adjusts the torque and slows the motor to control the pull to reduce engine wear and tear.